Palau is located approximately 800 km east of the Philippines, and consists of a series of islands approximately 459 km2 in total size. Palau’s coral reefs are considered to be one of the “Seven Underwater Wonders of the World.” Located on the north-eastern margin of the Coral Triangle, Palau’s coral reefs have both high species diversity and high habitat diversity. Palau’s reefs contain more than 350 species of hard corals, 200 species of soft corals, 300 species of sponges, 1,300 species of reef fish, and endangered species such as the dugong, saltwater crocodile, sea turtles, and giant clams. In addition to Palau’s diverse marine resources, it has the highest terrestrial biodiversity of all countries in Micronesia. The immediate threats to Palau’s biodiversity result from the inappropriate use of natural resources, such as overharvesting and sedimentation due to tourism activities, development, population growth, and economic development. Similar to other areas within Micronesia, climate-induced coral bleaching is an ongoing threat. Having previously suffered high levels of coral bleaching and mortality following the 1998 El Niño event, the predicted increase of El Niño associated bleaching events could create even greater devastation to this area. Despite these threats, Palau’s landscapes and seascapes remain relatively intact. Coral bleaching during the 1998 bleaching event was as high as 90% at some sites, with average mortality reaching 30%. The northern reefs of Palau suffered the most while most corals on fringing reefs around the rock islands in the southern lagoon escaped bleaching. Corals living in turbid waters adjacent to a river mouth were spared as well. The shading factor of both the rock islands and turbid water is believed to have helped corals to escape bleaching. However, corals that were spared because of the turbid water died a few years afterwards as siltation increased due to increased soil runoff from the construction of the ring road around Palau. Local leaders discuss the 1998 bleaching event in Palau. 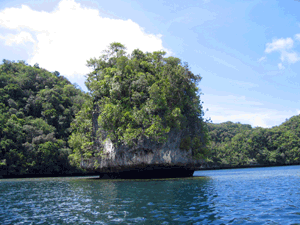 In 2003, the Protected Areas Network Act (PAN Act) was passed by the Palau National Congress. This landmark legislation provides a framework for Palau’s national and state governments to collaborate to establish a nationwide network of terrestrial and marine protected areas with the aim of protecting the biodiversity and natural resources of value to future social, cultural, economic, and environmental stability of Palau. These goals complement those of the Micronesia Challenge that aims to have each country within Micronesia conserve 30% of near shore environments, and 20% of terrestrial environments, by the year 2020. In 2008, President Remengesau signed the revised PAN Act, which includes the establishment of a non-government corporation, the Protected Areas Network Fund (PANF), and the creation of a Green Fee (a $30 fee collected from visitors to Palau upon departure from the airport). This fee is used for management of PAN sites (a site that becomes part of the protected areas network by meeting certain ecological criteria). Only PAN sites are eligible to count towards the Micronesia Challenge. To date, over $3 million USD has been collected from the Green Fee. 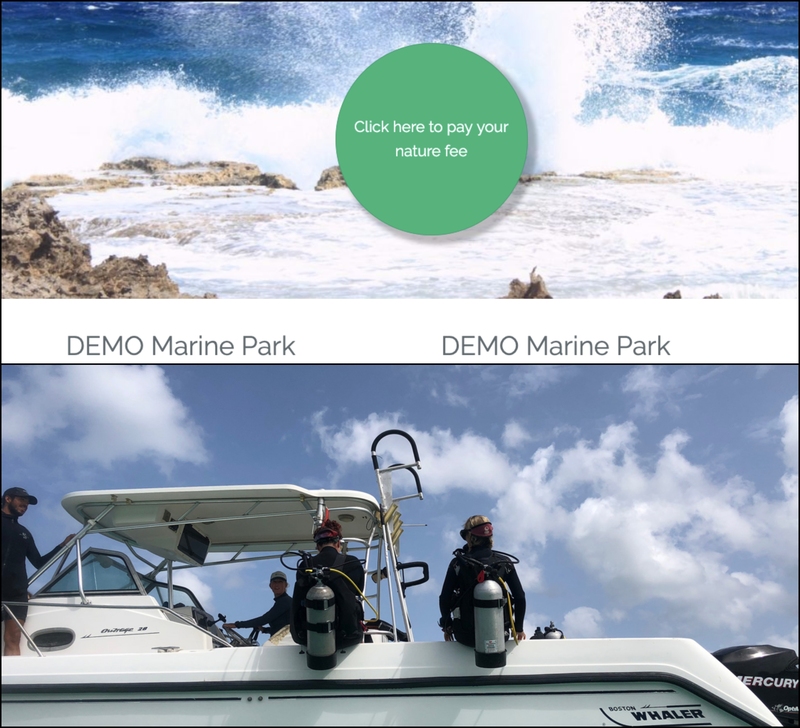 When designing the Protected Areas Network (PAN), The Nature Conservancy’s reef resilience model incorporating effective management, representation and replication, critical areas, and connectivity was used. Two workshops in 2006 set out to develop a set of protected area design principles, stratification, conservation targets and goals and to provide a range of PAN scenarios for review by workshop participants. Multiple PAN variables were considered, including size, landscape context, current condition, threats, costs, and conservation goals. In 2012, another workshop was held to determine how to incorporate fisheries and climate change principles to improve the design of the Palau PAN. MARXAN was exceptionally useful in this process, as it is designed to help synthesize and automate the selection process by integrating both biodiversity and socioeconomic criterion that often conflict. Specifically, MARXAN attempts to identify scenarios that meet conservation goals, with minimal impact on socioeconomic values. 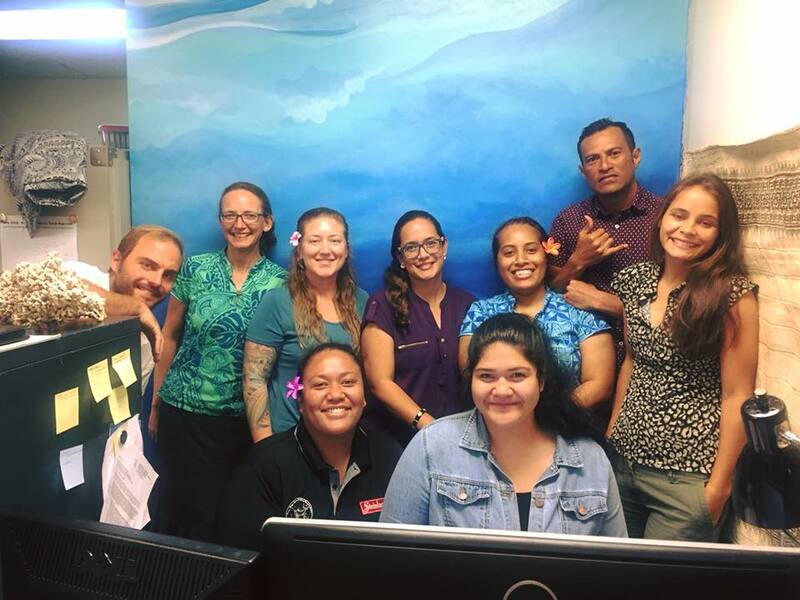 An Ecoregional Assessment of Palau was conducted in multiple steps. In 2002, twenty-four targets were selected for initial analysis using the Spatial Portfolio Optimization Tool (SPOT), which produced a variety of portfolios representing different protected area scenarios. Based on the SPOT analysis, it was determined that a variety of scenarios could accomplish protection goals; however, more work was needed to improve the quality of the data, and to complete the mapping of missing targets. Therefore, the second phase of planning focused on using the MARXAN tool. Analyzing the threats and causes of high biodiversity areas and targets. As of 2012, there were 13 PAN sites, including 5 terrestrial and 8 marine sites. These sites have rigorously undergone the Palau PAN application process and have met all the requirements. They all have management plans that are being implemented. All sites are entitled to the Palau PAN funding (Green Fee). Some of these sites have been evaluated using the Micronesia Protected Areas Management Effectiveness Evaluation (MPAME) and the scores range from management level 1-3, with management level 5 being the highest management level that can be attained. In 2012, the Ministry of Natural Resource Environment and Tourism (MNRET) officially adopted monitoring protocols in support of management of PAN that were developed by the Palau International Coral Reef Center (PICRC) with funding and technical support from the Japan International Cooperation Agency (JICA). This protocol provides a framework for monitoring key biological and physical indicators for assessing effectiveness of management in contributing to achieving the goals of PAN. Almost 10 years after the bleaching event, coral reefs of Palau that suffered the bleaching event showed tremendous recovery. Coral reef monitoring data by the Palau International Coral Reef Center since 2001 shows rapid recovery in deeper water (10 m) followed by recovery in shallow water (3 m). This recovery is thought to be facilitated by coral remnants and recruitment from less impacted habitats. Furthermore, recovery of the Acropora corals was highest on the western slopes of Palau, believed to be a result of high post settlement survival and favorable growth conditions. A recent unpublished larval dispersion model by Palau International Coral Reef Center showed higher larval retention on the west, consistent with the observed recovery and coral conditions. Palau’s coral reef recovery from the 1998 bleaching event shows resilience when key coral reef ecosystem functions are maintained (herbivory, stable substratum quality, water quality) and human impacts (land based) are managed. Prior conservation efforts to manage Palau’s coral reefs through establishment of protected areas may have had a positive contribution to the recovery process. With the establishment of PAN legislation and regulations, many of the existing MPAs met the established criteria for membership with the network. This is a positive contribution to achieving the goals of the network because rather than focusing on getting sites established, the focus has been on improving site management. Improving site management ensures that the key ecological process needed for the maintenance of coral reef health that contribute to reef resilience are maintained. The monitoring program set up during the resilience assessments of the PAN made it possible to conduct a rapid assessment during a thermal stress event in July-August 2010. This rapid assessment was performed at 80 sites to examine the spatial extent and severity of bleaching. Results showed that coral bleaching was significantly higher on outer and patch reefs than in bays, and was more severe in the northwestern lagoon. The study shows that reefs around the bays are more tolerant to thermal stress than patch and outer reefs, and the reefs in the bays are valuable refuges to buffer coral reef ecosystems against climate change impacts. Reducing/managing land-based sources of stress to the marine environment will help build resilience of reefs through rapid recovery following major natural disturbances. Healthy herbivore populations on reefs will facilitate coral recovery through ensuring clean substrate for recruitment and may facilitate post recruitment survival by reducing algal overgrowth. 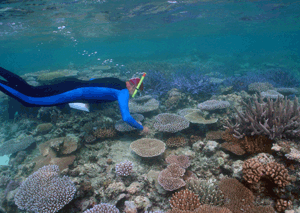 Long-term monitoring is important for documenting disturbance and understanding reef resilience provides valuable information to inform site selection for enhanced management and prioritization of limited human and financial resources for management. Designing a resilient protected areas network will require adaptive learning as new and improved data are made available to inform the spatial coverage of the network. Community-based conservation efforts are an important local response that can build the resilience of reefs in response to impacts of climate-related events.